I have prepared my mind to see a lot of intrigue in the run up to the next general election in Kwara State, especially because of the leadership vacuum which now exists in the All Progressives Congress due to the much talked about defection of the President of the Senate, Dr. Abubakar Bukola Saraki. One thing I did not actually envisage is the unfortunate desperation of the Minister of Information, Alhaji Lai Mohammed, to step into a shoe too big for a semi-Kwaran like him. 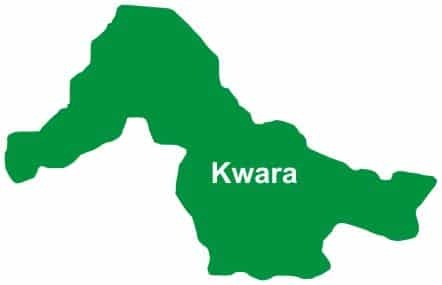 The attempt by Mohammed to paint the Senate president as a leader who believes more in non-Kwaran allies smacks of nothing but sheer selfishness and plot to use Kwara State as a trade point from the ruling APC and its financiers. How else can one then describe the sudden lousiness and posture of man who was a “short one” in the affairs of Kwara State APC when Saraki was in the party? In fact, to many Kwarans, Mohammed’s appointment as a minister using the slot of Kwara State was more of a minus for the state in the current Federal Executive Council. Now to the main issue: Lai Mohammed’s complaint about the inclusion of some certain technocrats such as Tope Daramola, Segun Soewu, and Alhaji Yusuph Olaniyonu in the running of some sectors of Kwara State and as aides to the Senate president would have generated ill feelings beyond the technocratic rationale had such complaint not have emanated from a man who is more of a Lagosian than a Kwaran. Does one really have to remind him of his previous occupation of the position of Chief of Staff in a state which is not of his origin? Or much more of the current seat being occupied by his son in the Lagos State House of Assembly. Before the minister can complain about Saraki’s engagement of non-Kwarans, he should be honest and bold enough to tell us why he could not get his Presidential Special Assistant from anywhere in Kwara State, especially in Oro or his Irepodun LGA, before he decided to run to Ogbomosho in Oyo State to shop for one Williams Adeleye, who is today his Presidential Assistant and who has used the slot of Kwara State to garner enormous influence within the Ministry of Information and Aso Rock Villa for the benefit of Oyo State and their Lagos cronies. Therefore, like Yusuph Olaniyonu from Ogun State working for Saraki, like Williams Adeleye from Oyo State working for Lai Mohammed. We would, therefore, like to believe Mohammed’s impression of Saraki only if he can convince us that there are no hundreds of qualified Kwarans who can do for him what his foreigner Williams Adeleye is doing for him in his ministerial assignment. It is high time one warns this Lagos politician not to allow his selfish desperation to take over as the leader of APC in Kwara State from Saraki to expose his political failure beyond the borders of Kwara State. Who could be more alien between Saraki who has always won elections In Kwara State since 2003 and Lai Mohammed who has never for once delivered his Oro Ward 2 to any of his political parties in all elections? Facts are sacred: since his foray into Kwara State’s political landscape in 2003, Mohammed’s political party/camp have always lost every election in his Irepodun LGA of the state and this is a direct indictment of the mouthy minister as a foreigner as far as Kwara politics is concerned. If not, what manner of a political leader would not be able to boast of winning his ward, not to talk of his LGA and yet such a politician is claiming an imaginary ability of replacing a well grounded political leader? It may do him well to quickly realize that political leadership is far a herculean task than the job of a government or political party’s mouth piece. I can not but pity my fellow Ilorites such as Prof. Oba Abdulraheem, Rahman Rasak, Moshood Mustapha, late Justice Mustapha Akanbi’s heir, and others who are gullibly adopting the Minister as their leader. How I wish they know what their acclaimed leader is using them to trade for. I have it on good authority that the selfish quest of Mohammed to turn Kwara to his ATM is the reason why he is desperately using the zoning formula to look for a puppet to support as the governor at a time when Saraki himself is strategising to ensure he features a homegrown and generally acceptable candidate, having realized that Kwarans may no longer accept a tailor made puppet for governor in the coming dispensation. The real reason why Lai Mohammed wants Alhaji Yaman Abdullahi as the gubernatorial candidate of his party is therefore not far fetched. It is because he has allegedly collected very huge amount of money from the Shonga born but Kaduna State-based politician. Going by this fact, who is more selfish between Saraki, who would spend his money to ensure victory for his candidate, and Lai Mohammed, who is collecting money from an aspirant to facilitate party ticket for same? This is a question all Kwarans must sincerely answer before we move our hands from fire to frying pan. Meanwhile, Abdullahi is not alone in playing the victim to the trading political leader. Our own Ilorin born Rahman Rasak has also fallen into the extortive antic of the minister as he has started paying him in hard currencies just to facilitate the deputy gubernatorial candidacy of the APC for his long time ally: Prince Sunday Fagbemi. Those who have Mohammed’s ear would do him a great favour by letting him realize that a lot of Kwarans now have clear understanding of how he is using the vacuum created by Saraki’s exit from the APC to make illicit wealth from many aspirants in the APC. What kind of a leader does this? Perhaps his party members can attempt to answer this. This latest extortion of money from contestants by Alhaji Mohammed has once again opened up an old wound of pre and post 2011 elections that one thought would have been healed by time, but it is obvious that this extortionist attitude is genetically embedded in the make up of the minister because if we could attribute his decision to collect money from most of the Action Congress of Nigeria contestants in 2011 and his consistent extortion of money from the two ACN members of the Kwara State House of Assembly between 2011 and 2013 before the decampment of the duo to the then Peoples Democratic Party to the fact that Alhaji Mohammed was out of job in that era, what should we now hold responsible for his current attitude of milking Abdullahi and others now that he is a Minister of the Federal Republic? Definitely, he has this money milking personality bequeathed to him by nature and I am double sure Kwarans are not ready for a leader who would eventually sell the state to the highest bidder. At this juncture, it is therefore imperative for Kwarans, especially those who are still sympathetic to the APC, to look beyond the lying lens of Minister Mohammed anytime he attempts to decimate the political leadership of Senator Saraki because a man who is scheming to lord Williams Adeleye, his Ogbomosho-born aide on Abdullahi as Chief of Staff should the latter becomes governor, does not in anyway possess the moral purity to castigate Saraki for engaging the likes of Segun Soewu and Yusuph Olaniyonu. It is rather a laughable case of the kettle calling the pot black.
. Dan-Magaji writes from [email protected].